Buckle up, Hearties! This week’s installment of When Calls the Heart: Home Is Where the Heart Is takes the viewer on a roller coaster of emotions. 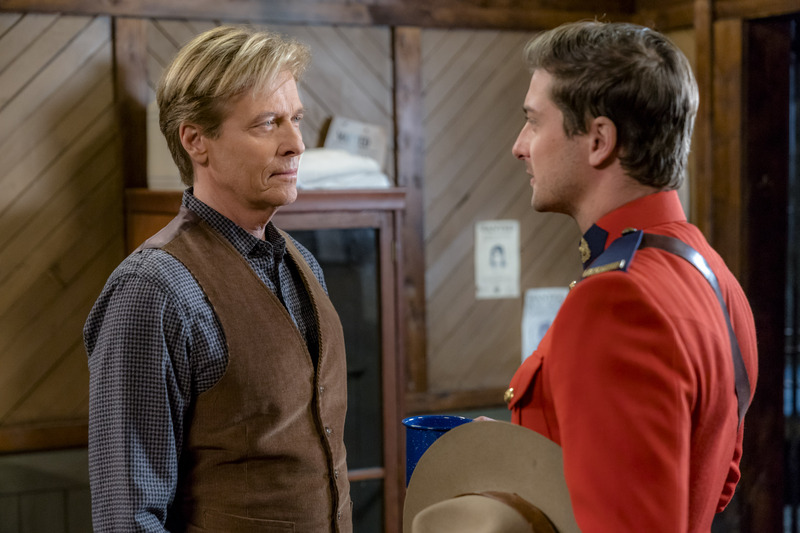 With the Mounties’ return on the horizon, rumors being spread around town and the bank struggling to meet deadlines, every member of Hope Valley plays a part in this week’s lessons in love, gratitude and the dangers of false reporting. Lee finds himself in an uncomfortable position when the bank fails to deliver his payroll. Mr. Jenkins, the banker, asks for Lee’s patience and assures him that the money will be available later in the week. Lee, obviously irritated, stands up for his workers and tells Mr. Jenkins that the bank’s failure to deliver is unacceptable. Jenkins plays on Lee’s sense of loyalty and reminds him that when he was opening the mill the bank was there for him when things got tough. Being a man of kindness and integrity, Lee gives Jenkins the extra time to allocate the funds and offers his own money to any worker who may be harmed by having to wait the extra days for pay. 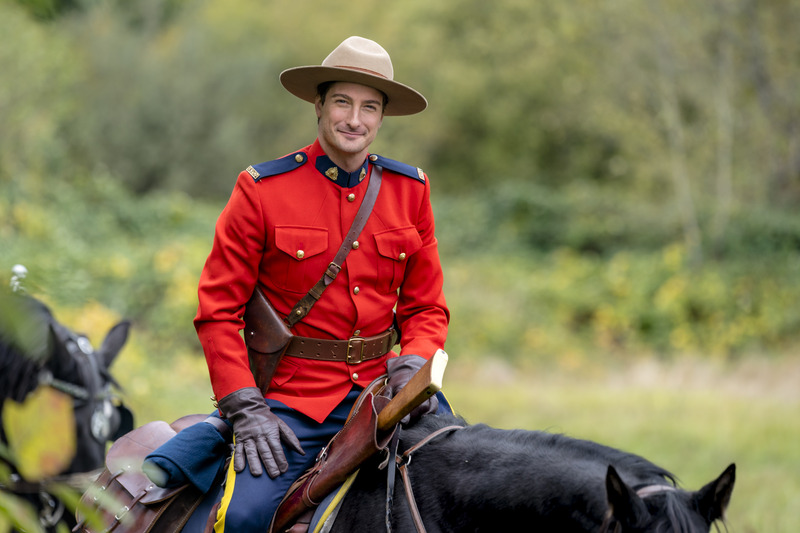 When Elizabeth (Erin Krakow) gets word that there are Mounties entering town she races out of the mercantile to find her beloved Jack (Daniel Lissing) amongst the men in red serge. She runs into the street screaming for Jack and asking the passing Mounties for information on Jack’s whereabouts and the cause for their return. She’s told they’ve successfully secured the northern territories and that they are heading home, but no one seems to know Jack. When she fails to find him in the group of soldiers in the street, she panics and runs into the saloon to see if he went there. Her fears are only exacerbated when the Mountie she questions looks at her solemnly and tells her that he doesn’t know Jack and that they lost many men during battle. As she walks out of the saloon, worried and broken-hearted, she sees another group of Mounties arriving. 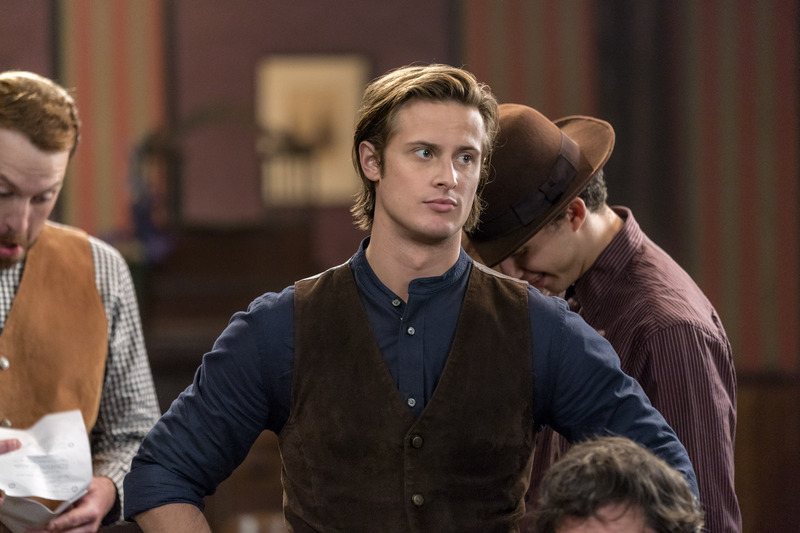 In that group, we see Hope Valley’s hero and Elizabeth’s love, Jack. What ensues can only be described as an epic kiss that is packed full of love, longing, and relief. Jack breaks their kiss and declares, “I’m home.” Such a loaded statement. Home to Hope Valley, home to his post and, most importantly, home to his cherished Elizabeth. Overjoyed to have Jack safely home, Bill (Jack Wagner), Abigail (Lori Loughlin), Lee (Kavan Smith) and Rosemary (Pascale Hutton) gather at Abigail’s to welcome him. Bill tells Jack to take his time returning to work while Rosemary, in the most loving ‘Rosemary way’ possible, tells Elizabeth, “I think you need to fatten him up. I could give you some recipes” to which Elizabeth tells her she thinks Jack looks great and reminds her that she’s got it under control. The arrival of the stagecoach ushers a new face into Hope Valley. Sophia (Ali Liebert), a childhood friend of Rosemary’s, brings new potential to town. She enters the dress shop declaring “Look at you, the perfect combination of Broadway girl and frontier woman!” She obviously knows our dear Rosemary very well. We also discover that, along with being a close friend of Rosemary’s, she is a female architect looking to find her place in the world. For her, New York has proven to be less than welcoming to a trailblazing woman working in what is perceived as a man’s job. Alone at Elizabeth’s row house, Jack and Elizabeth share a long-awaited moment of closeness, sweetly smiling and nuzzling noses. Jack reiterates that it’s “good to be home.” Elizabeth, enthusiastic to resume where they left off all those months ago, is surprised to hear Jack say that he doesn’t “wanna’ be engaged.” He has returned home ready to “get married, build a house and start a family.” His deployment has given him time to reflect on how important Elizabeth is to him. He’s learned first-hand that tomorrow is not promised to anyone and that a man must not squander the time he is given. It was the thought of coming home to Elizabeth and knowing that she was waiting for him that kept him going during those difficult months. Elizabeth, excited to hear about Jack’s plans—but still concerned about everything he went through—tells him to “catch [his] breath”. She tries to redirect the conversation to what he experienced while away, but Jack deflects, and she lets it go. To show Elizabeth how serious he is about moving forward, he takes her to their land. He shows her the blueprints that he created while he was away. Elizabeth, surprised by how many rooms there are, adorably smiles and blushes as Jack tells her the house must be big enough to accommodate the entire “Thornton clan.” Although excited at the thought of their beautiful future together, Elizabeth again finds herself concerned that Jack may be pushing himself too hard, too fast. He again reassures her that he’s “fine,” and the two set off to begin their day. When the school receives a mimeograph machine from the newspaper company Ms. Thatcher challenges the children to create their own class newsletter. Hattie immediately volunteers to be the editor, because she enjoys writing stories. Ms. Thatcher reminds her that creating a newsletter is about gathering facts and reporting accurately. Upon hearing news about the status of the bank, Gowan (Martin Cummins) immediately recognizes that something isn’t right and takes it upon himself to confront Jenkins. The banker assures him that everything is fine, but Gowan knows a bluff when he sees one and calls him out. Jenkins tries to use Gowan’s past to belittle him and deflect from the problem at hand. Gowan doesn’t let that stop him from further pursuing the truth by going to Abigail with his concerns. He tells Abigail that Jenkins is lying to everyone and that even if she speaks to him, she is unlikely to get an honest answer. He suggests that she removes the town’s funds from the bank, but this suggestion causes Abigail to worry about how such an action would affect the bank. Gowan urges Abigail to look out for the town’s security over the bank’s needs. In his gut, he feels the bank is about to go under and that she must hurry before the town loses everything. This attempt at helping the town and reaching out specifically to Abigail showcases the powers of redemption and forgiveness. Abigail has been able to see the best in Henry when no one else was even willing to look for it, and now Henry is doing all he can to help her and the town, which is a far cry from where we saw Henry last season. At dinner with Lee and Rosemary, Sophia offers insight into Rosemary’s childhood. Sharing a story of how she built Rosemary’s first theater for her when they were nine years old prompts Rosemary to declare that Sophia should design the theater that Lee promised to build her. Sophia points out that Rosemary has always had big dreams and Rosemary reminds her friend that when you “shoot for the stars, you end up over the moon.” At that moment, in walks the adorable Dr. Carson (Paul Greene). When he joins them for dinner, it quickly becomes obvious that Sophia and Carson enjoy each other’s company. They become so engrossed in conversation that they even appear to forget the fact that the Coulters are still sitting at the table. Dinner ends with Carson extending an invitation to Sophia to join him on a picnic the next day. Nurse Faith, also dining at the café, witnesses Carson’s interest in Hope Valley’s newest visitor and appears a bit jealous. Elizabeth arrives to find that Jack has set up candles on their property to light her way to a tent, where he has prepared a beautiful dinner. Jack asks Elizabeth to dance and shows her a music box that he bought while he was away. He admits that he listened to the song “Let Me Call You Sweetheart” every night and dreamt of being with her. At this point, I firmly believe that Mr. Yost keeps extra candles in stock for all of Jack’s grand gestures. Armed with the information from Gowan, Abigail confronts Jenkins. When he attempts to blow her off, she threatens to remove the town’s money from the bank. This forces his hand, and he admits that the bank has made a few bad investments but assures her that everything will be fine after he procures a short-term loan from a larger bank in Cape Fullerton. Jenkins plays the loyalty card once more and asks Abigail to trust him based on years of good service in the community. Hattie’s interest is piqued when she observes that Harper received poor marks on his assessment and then later witnessed him enter the schoolhouse alone to rifle through papers on Ms. Thatcher’s desk. After Harper receives an A on his next test, Hattie jumps to the conclusion that he must have cheated and looked at the test when he snuck into the schoolhouse. When Sophia arrives at the infirmary the next day for her lunch date with Carson, she walks in on Faith pressing Carson for information. Faith asks if Sophia will be staying, to which he replies, “that would be nice.” When Faith teases him about being smitten, he admits it’s too soon to tell, but it’s obvious he’s feeling something. In one last act of what seems to be jealousy, Faith tries to put a damper on the idea of their beautiful picnic by telling Sophia it’s supposed to rain. Over lunch, Carson and Sophia, discuss their fears and dreams. They gaze into one another’s eyes, trying to discover what is in the depths of their souls, only to find that what they both see is potential. Although their picnic does end up getting rained out, it only adds to the magic of that moment in their budding romance. Hattie takes it upon herself to create a newsletter about Harper’s alleged indiscretion and distributes it to her classmates. Upon arriving at school, Elizabeth notices the commotion and confronts Hattie. Hattie shares her reasoning, to which Elizabeth informs her that she had loaned Harper study aids and that he was merely leaving her a thank you note, not stealing test information. Elizabeth uses this as an opportunity to teach the children about the dangers of false reporting and the importance of making certain something is true before you speak it or write it. Hattie, showing major growth from the sad and angry child that she was when she first came to Hope Valley, immediately regrets her actions and writes a formal retraction, apologizes to Harper, and invites him to be the co-editor of the paper. Jack and Elizabeth, excited to share news of the impending wedding, gather Abigail, Rosemary, Bill and Lee to tell them of their plans to wed in two weeks. The couple asks each of them to stand by their sides at the ceremony as Matrons of Honor and Best Men. Unfortunately, this special moment is cut short by members of the town running toward the bank. Mr. Jenkins refuses to open the bank, which sends the townspeople into a panic--how will they be able to continue to function if the bank collapses? Bill attempts to calm the crowd while they all look to Abigail for answers regarding how to proceed. A collective Hearties sigh of relief could be heard this week as we witnessed the return of our brave Mountie, Jack. Hope Valley’s valiant hero fought the good fight and returned home to his love. Along with gratitude and love, a resounding lesson of the power of our words rang true throughout the episode. Words can be used to express love, like Jack’s sweet words to Elizabeth; to deceive, like Mr. Jenkins’ to the town; or to harm, like Hattie’s unfounded and hurtful accusations towards Harper. We must go forward this week remembering to hold on to the love and gratitude in our hearts and to think twice before we let words that may not be an honest reflection of who we are slip from our mouths. When Calls the Heart: Home is Where the Heart Is does not disappoint! The entire episode is well written and executed. Jack’s return is nothing short of magical. Krakow’s phenomenal talent creates a visceral moment as she screams for Jack in the street. Krakow and Lissing share an undeniable chemistry on screen that has been greatly missed while his character was away. Ali Liebert as Sophia is an excellent addition to the cast. Liebert and Greene play off each other quite well, and I hope to see a lot more of both characters this season. Cummins, with his quiet vulnerability, portrays Gowan perfectly. You can’t help but feel for him as he struggles against his own inner demons to become a better man. With a wedding date set, new relationships blossoming and the drama in town, season five is off to an incredible start! 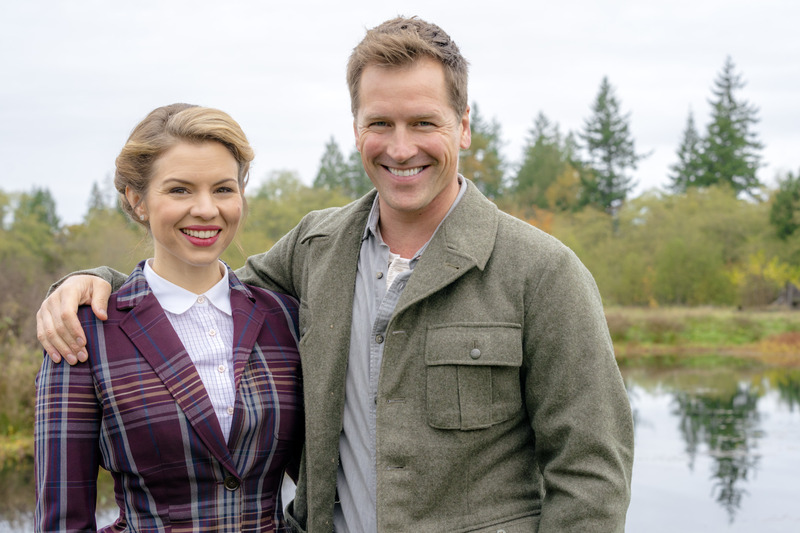 Tune in to the Hallmark Channel next Sunday at 9/8c for the next episode of When Calls the Heart! Can’t wait to see this one!!! I am so excited to watch this one!!!!!! I absolutely love this series and hats off to the incredible writers and cast. I’ve especially loved the kids in the show. This is the only program I tune into, otherwise I would rather spend my time reading! What an amazing review! I could visualize each sweet moment, each plot twist, and it made me even more excited to see this episode.